I had the wonderful opportunity Saturday evening to listen to our Symphonic Singers and Chamber Choir perform a program titled “Spring Returns” at Our Savior’s Lutheran Church in Menomonie. These students, from all majors on campus, gave an incredible performance that recognized through music the end of winter and emergence of spring. I was proud as I listened to these students because it was clear that they were passionately devoted to their singing. Under the direction of Jerry Hui, assistant professor of music and director of choral activities, they performed superbly and brought the same sweetness to spring that one feels when hearing the first bluebird’s call or robin’s song. On Tuesday, I had the pleasure of extending thanks to our latest group of retirees at the spring retirement reception. 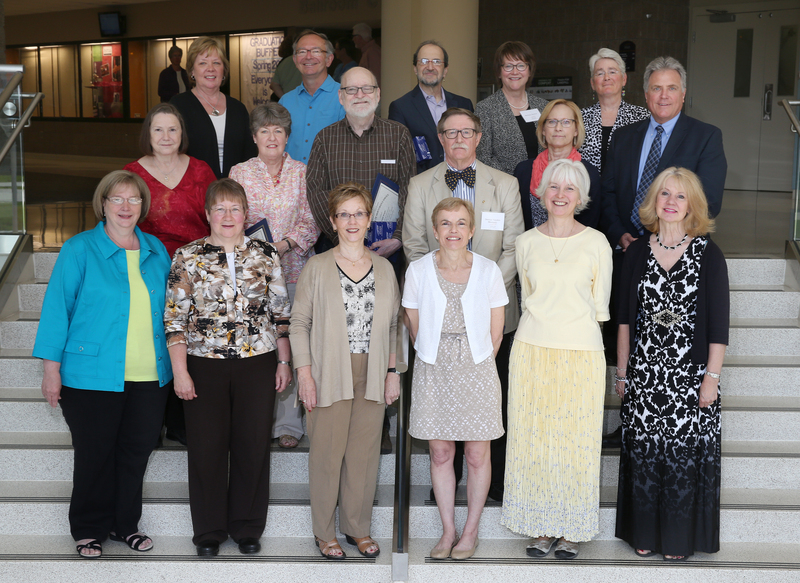 The list included 20 new retirees representing 391 years of remarkable service to UW-Stout. It also was heartwarming to see and welcome back so many of our other retirees who joined our current staff to wish the 20 honorees the best as they begin a new chapter in their lives. Good food, beverages and company were enjoyed by all! A sincere thank you to these new retirees for all they have done to make UW-Stout the special institution that it is. After the retirement reception, I had the opportunity to visit our Child and Family Study Center to see an amazing display of our toddlers’ art. 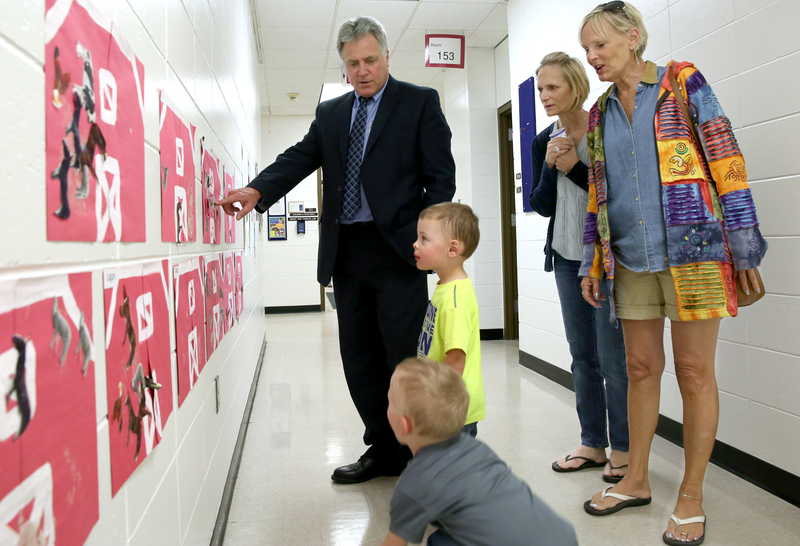 It was a lot of fun seeing these toddlers, with their parents, showing off their outstanding work. This group of UW-Stout students-in-training is already showing their hands-on talent! From the toddler art exhibit, it was on to the Honors College annual picnic where I had the opportunity to mingle with our honors students. The picnic featured many enjoyable games and good food. The activities included sporting some stick-on mustaches, which I gave a try. I was told my stick-on cookie duster made me look like Tom Selleck. I’ll let you be the judge. 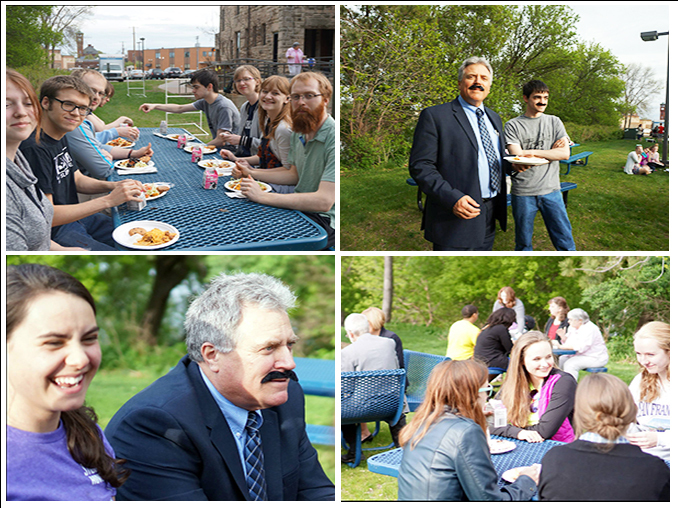 I appreciated the invitation to be part of the picnic and enjoyed the opportunity to relax a bit with our honors students. This entry was posted in Uncategorized on May 6, 2015 by University of Wisconsin-Stout.